OnXmaps is a company that has taken plat books, specialty maps, and GPS units to the next level. With OnXmaps software, hunters can now have topo maps, public and private landowner names, property boundaries, roads, trails, and more right on their smartphone or Garmin GPS unit. Is the software worth the purchase? Yes, yes, yes. Let me explain. As an avid bowhunter, I have always been on the lookout for new places to hunt. I developed a strategy that helped me gain access to private land in the early 2000’s. I would painstakingly scan individual plat books for my surrounding counties, edit the scanned pages with photoshop, then overlay them into Google Earth so I could see who owned potential hunting land that I was interested in hunting. I could see a large wooded area on Google Earth, click on my plat layer, and see who owned it. I would then record the latitude/longitude of the spot along with the land owner’s name and list it as a stop on a route. With the landowner’s name and a route of 10 or more stops, I had pretty decent success in getting permission to bowhunt a property or two. With OnXmaps and their Hunting GPS Maps, I no longer have to do the majority of this work. To obtain the benefits of OnXmaps, you need a computer, GPS unit, or a smartphone. Depending on which device you use, you can either download the software from the OnXmaps website, install an app (smartphone), or buy the micro SD card for your GPS unit. 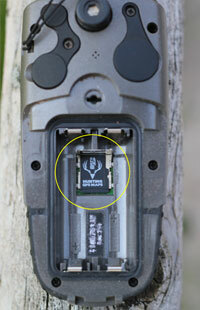 As a native of Illinois, I first acquired the Illinois micro SD card and simply installed it in my Garmin GPS unit. That was all the work I needed to do. Now, all the property lines, landowner names, trails, bodies of water, topos, etc. were installed on my Garmin GPS device. I now knew who owned what property while in the field without having to reference a plat book or by talking to locals. OnXmaps software showed me where property lines were so I didn’t accidentally trespass onto adjacent properties. In September of 2014, I visited Colorado to bowhunt elk. This was kind of a last minute trip, so I didn’t have the time to order the micro SD card for Colorado. I panicked! Colorado and the Rocky Mountains can be quite intimidating, so I definitely didn’t want to be in the field without a good basemap on my GPS. This is when I went to the OnXmaps – Hunting GPS Maps website and purchased the GPS download for Colorado. I was new at this download procedure, so I watched one of OnXmaps many instructional videos and proceeded to download the software with confidence. After a short period of time, I had my software on my Garmin GPS. Did it help me on my trip? You better believe it. Trails, creeks, water supplies, elevation changes, property boundaries, and more were in the palm of my hand while in the field. This information helped us not only to hunt the elk, but to stay safe and hydrated. I wouldn’t advise anyone to take on unfamiliar and challenging terrain without OnXmaps Hunting GPS Maps software. It seriously could be a matter of life and death. Today’s smartphones are little super computers that have great displays, touch screens, and pretty good GPS antennas, so installing the software on these devices is a great option. If you are not in the field for an extended period of time and might run out of battery life, you can just leave your GPS at home and use your phone. The mobile software interface is quite simple and actually gives you more options than the GPS unit software. With the mobile software, you can choose which purchased layers you would like to see on the map (private parcels, sections, government lands, etc.) as well as changing the basemap from topo to aerial imagery when the situation calls for it. What if you lose your cellular signal and can’t access the different maps in the field? Simply cache the maps to your device while you’re on wifi and use field mode in the field. Its that simple. Now you can access individual maps (aerial, topo, private parcels, etc.) straight from your phone’s memory without a cellular signal. You can also choose one of many different stock symbols to mark the map with waypoints, paths, or just take photo for specific location. With any mobile software, its best to be using the latest and greatest smartphone for software speed and efficiency. 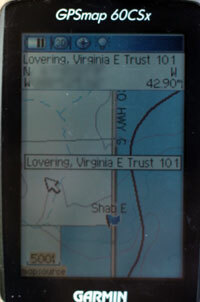 can purchase the software for use with Garmin’s Basecamp software or Google Earth software. 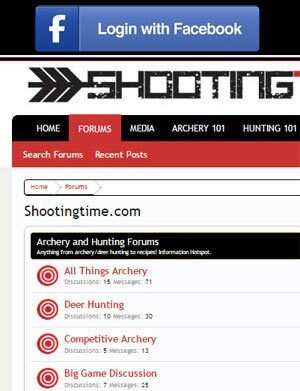 Both of these options will give you the ability to study the software maps and layers on your computer’s nice large screen which helps tremendously in scouting and planning a hunting trip. Notice things you couldn’t on a phone or GPS’s smaller screen. With the Google Earth download, you can also tilt the terrain for a very beneficial 3D view of areas you may want to hunt. 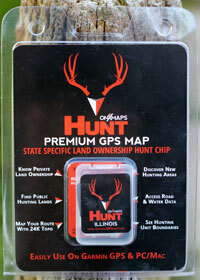 OnXmaps Hunting GPS Maps software is a must have. The advantages of this great software are almost too numerous to list. 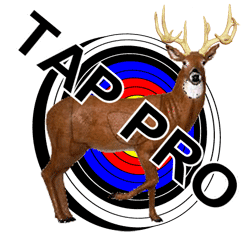 Its a time saver that will keep you safer in the field, help you gain permission to hunt private property, and increase your odds of having a successful hunting season. I’ve always been a firm believer of the 7 P’s; Proper Prior Planning Prevents Piss Poor Performance. This old saying holds very true with being involved in a safe and successful hunt. No one wants to waste time in the field, so do yourself a favor and check into OnXmaps Hunting GPS Maps to increase your odds this season. I have a number of questions. If you purchase the SD card how many devices can use the data, notepad. GPS, laptop or desktop, or do you have to have a subscription for the individual devices? It mentions annual upgrades; does this mean it will quit working after the subscription is over if you have the topo (terrain) data on a SD card? Does the subscription just pertain to the features that are time sensitive like property boundaries, etc, and does the terrain data stay usable. In some states we don’t draw a tag every year so having the latest property boundaries is not necessary. I would like to buy at least four states, but if the data is useless after a year it isn’t a very good investment; and the primary reason I won’t buy the newest version of Maptech. I have all of the western states of the old Maptech data, but it doesn’t work with the “Pro” version which is too expensive for individual use, plus you have to renew each subscription annually. Maptech can keep their new version! I have a notepad and a smartphone that I would like to have mapping capabilities on, especially legal boundary information, so I am looking for another system. Hauling a laptop around with a GPS attached is getting old, albeit it works perfectly; just no legal boundaries.